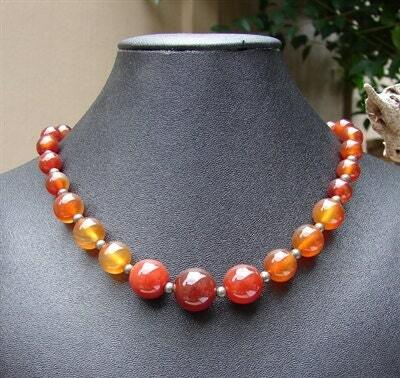 Natural Carnelian round beads graduate down in size from 14mm to 6mm. Carnelian looks like a setting sun when it takes in light and it's varying orange hues allow it to be worn with many colors. 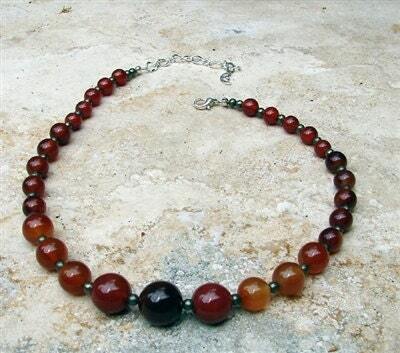 The separating beads are gold Pyrite, it's subtle gold tones ground and enhance the Carnelian. 18 inches in length with a 2 inch adjuster for a total of 20 inches.